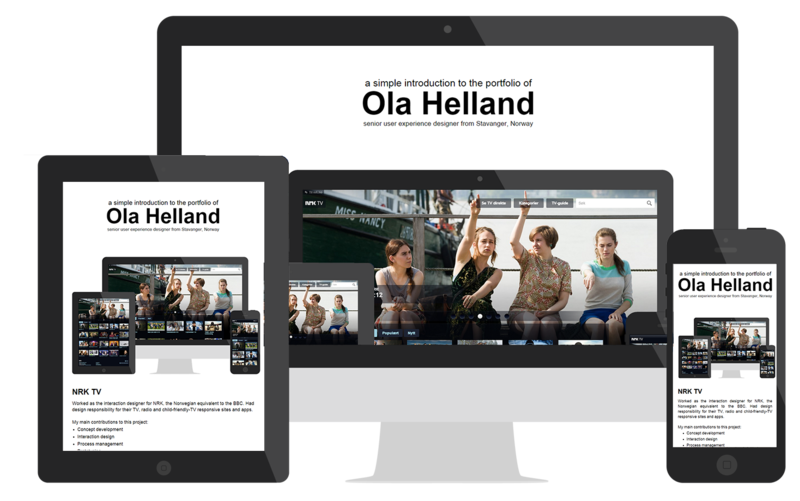 Worked as the interaction designer for NRK, the Norwegian equivalent to the BBC. 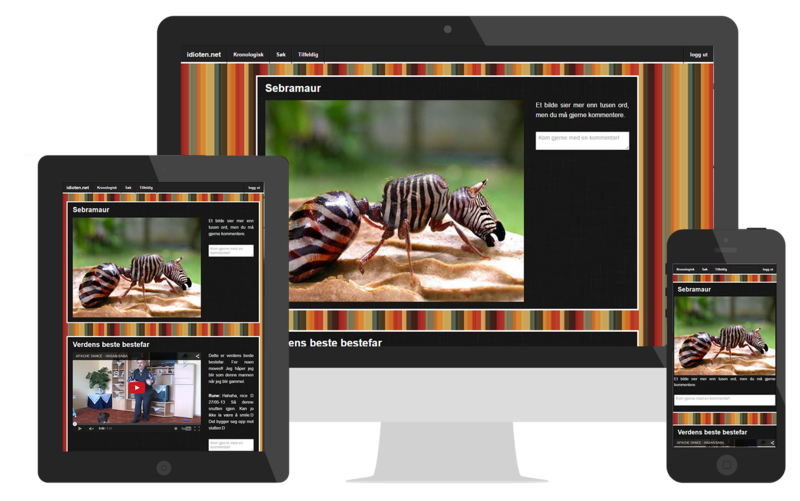 Had design responsibility for their TV, radio and child-friendly-TV responsive sites and apps. 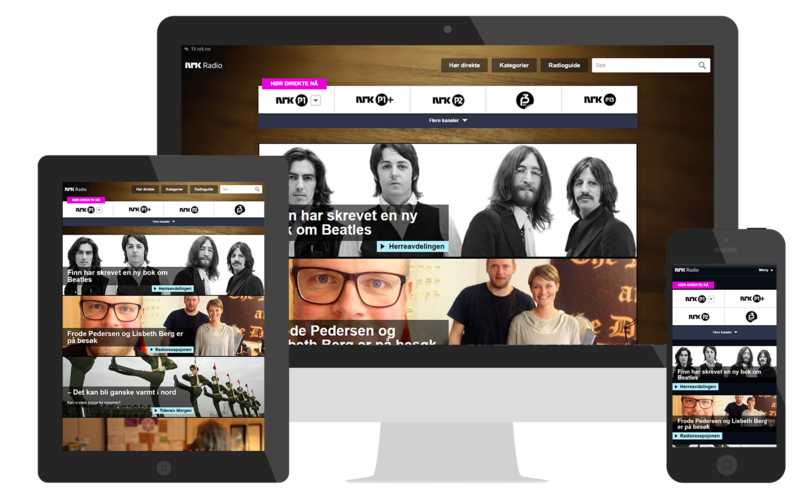 While at NRK we launched a new radio player and did another major redesign after launch because of some legal issues. The new player increased usage significantly. 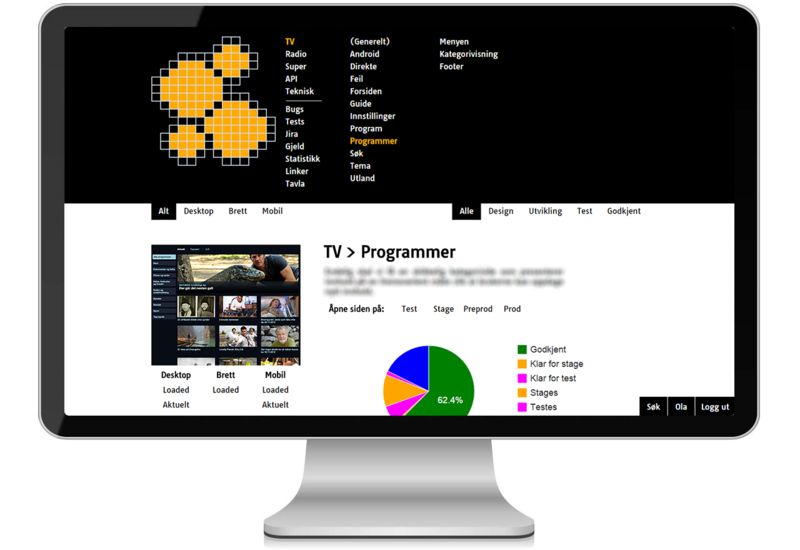 Launched a child friendly TV universe called NRK Super TV. Basically a skin on top of the regular player, but the design is based on childrens patters while using a tablet. LED (Lyse Energi Design) is a classified project I am currently working on for Lyse AS. 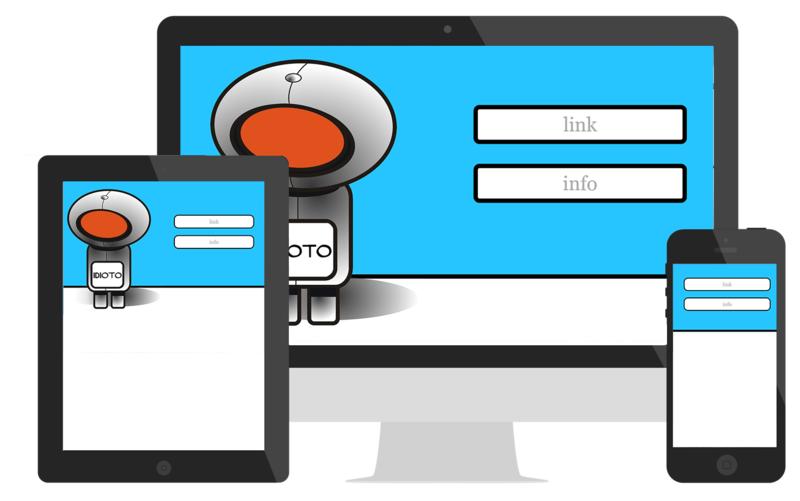 It has involved over 50 user interviews and countless prototype cycles. I am not allowed to say much more, other than it is very fun and one of the most educational projects I've ever done. Hopefully it will hit the market some time in 2018. The invitation to my wedding. 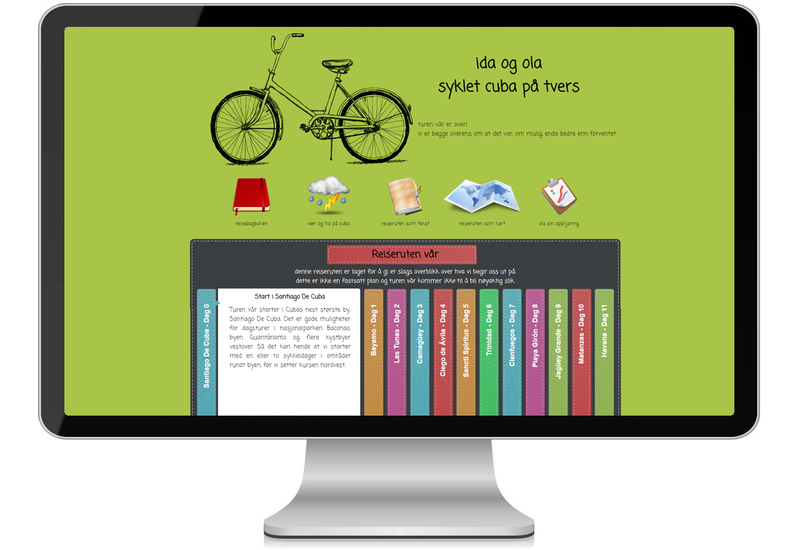 A totally custommade site with lot's of cool features. Each invitation is personalised with their own photos, url and text. 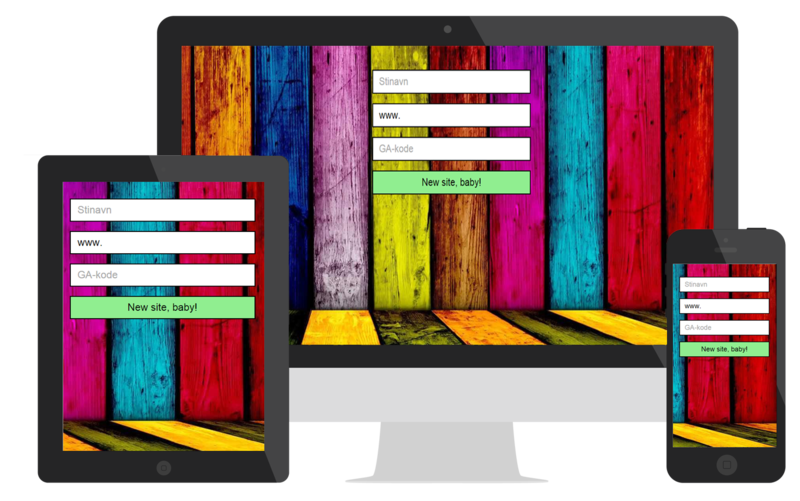 Each guest can see who of their friends are invited and what they have RSVP-ed on the site. As Head Of UX at Lyse I have created this plan for action on a co-authored digital strategy for the company. The plan is extensive, and unfortunately classified. Kjapp is a tool I invented to fill a gap between automatic web measurements and KPIs, with call to actions. 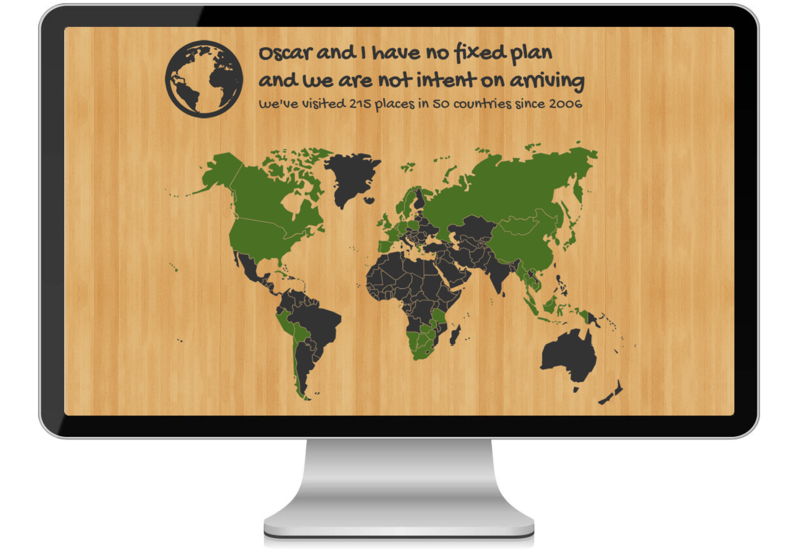 This tool analyses data and presents it in an understandable and actionable fashion. The data has always been there, but it has never been more understandable and easily available. The tool works in real time and even has a companion wearable app to help facilitate a data driven culture within the business. By far the most viewed design I've ever made. An art project that went viral in 2009/2010. 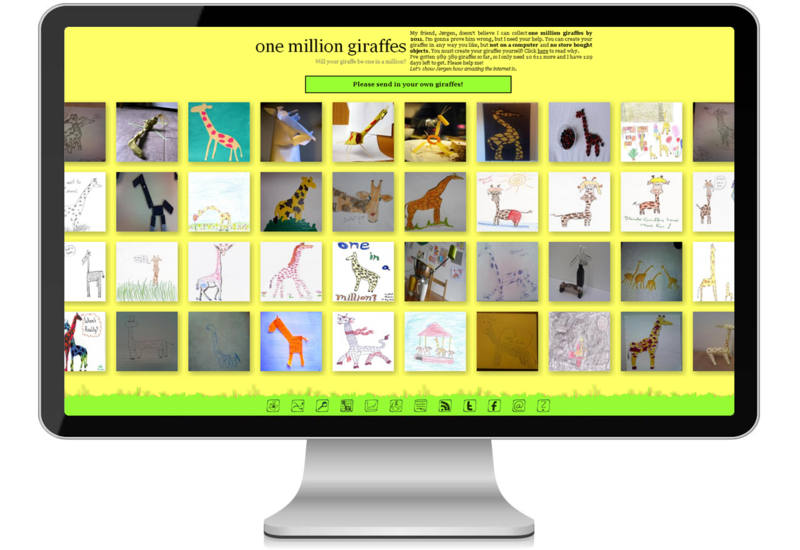 A simple goal; crowd source one million hand made giraffes to win a case of beer. It took 440 days, but I won. 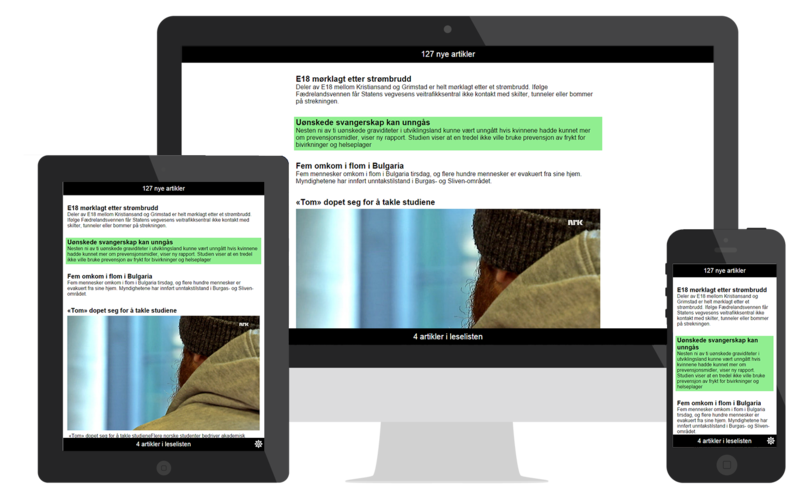 I created this powerful tool for the development process at NRK. 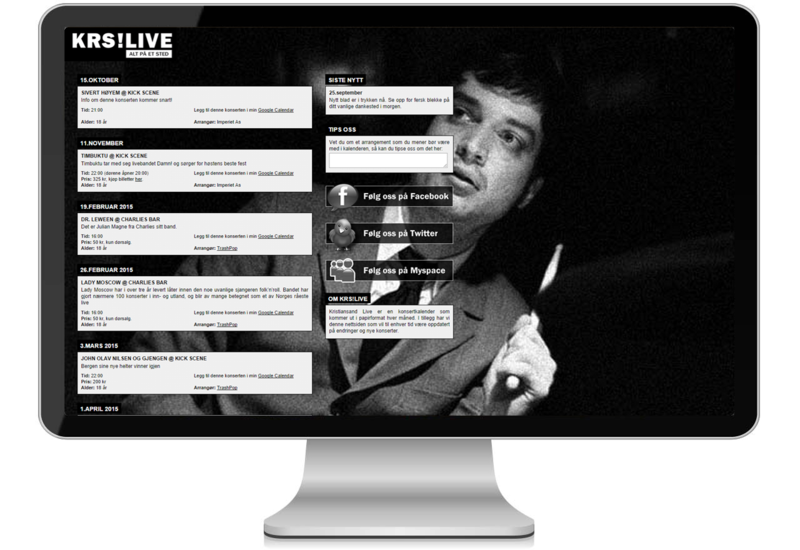 The project was a mess when I came in, so I created this simple, yet powerful, tool to keep track of development, user stories, demands, statistic and bugs. It became wildly popular in the team and soon became the go-to-product for basically everything. 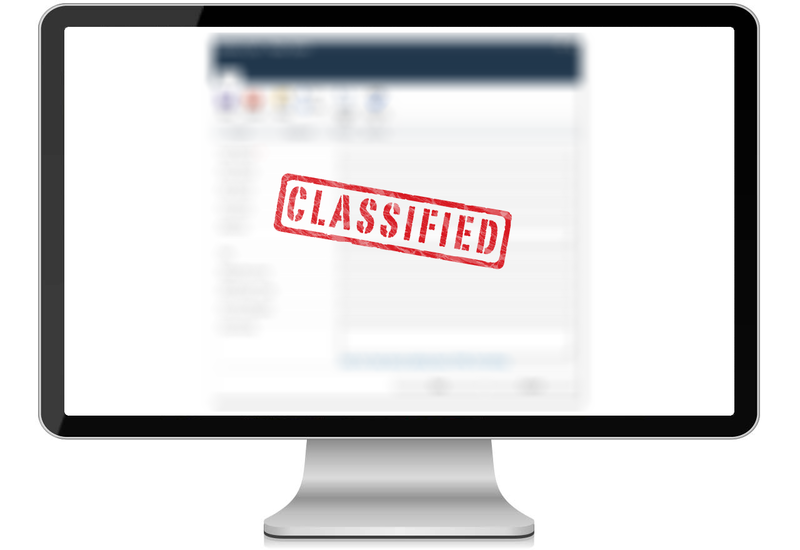 It communicates with Google Analytics, TFS, Jenkins and Jira. Making it the perfect single tool you need to measure progress and it works for all level of involvement in the team, even out to stakeholder and up to product owner. My travel website. Wherever I go in the world, I take Oscar with me and snap a pic of him. Sights from all over the world are well documented on this site. 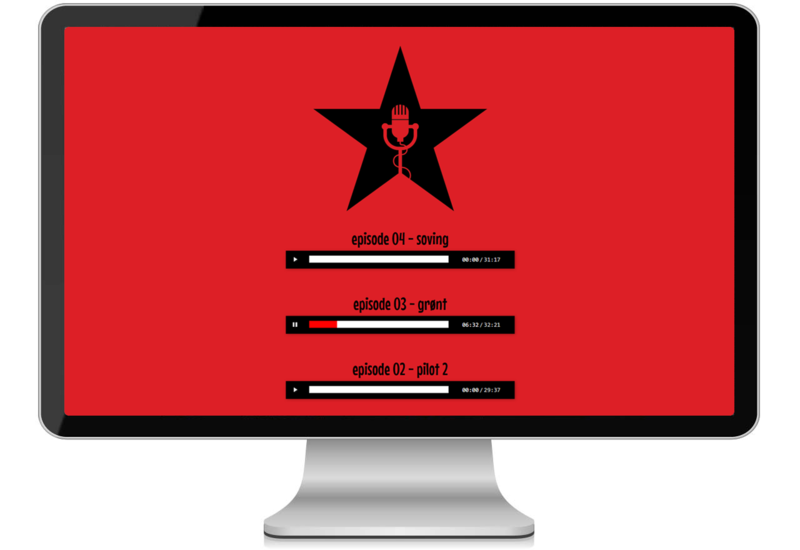 The official website for one of Norway's most popular podcast. It's a simple setup with the YouTube iFrame API. I've never liked to work out at a studio, so I made this app to make it easier for me to work out on my own. 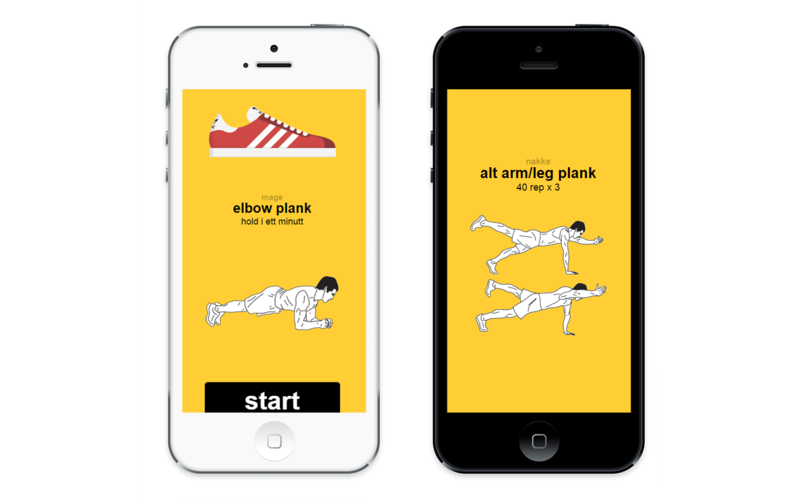 It's basically a personal trainer that creates a custom made workout schedule on the spot. It'll randomly pick exercises for different muscle groups and even do randomly degrees of difficulties for each exercise. There's a countdown timer for those that are time limited. 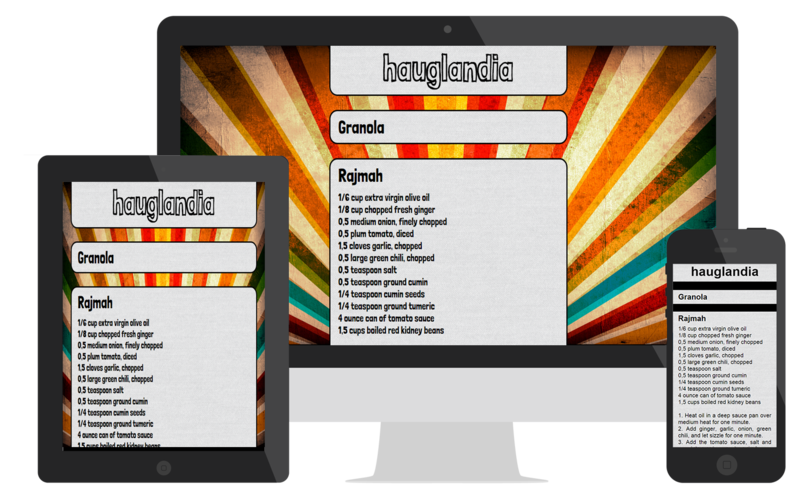 The goal of the app is not to become super fit, but to avoid becoming a fatty (tjukkas in Norwegian). This site keeps track of movies that I want to see. It's connected to IMDB and automatically plays trailers from YouTube. It has made movie night into a fun experience and is a great substitute for the ancient video rental shops. I invented this game while serving in the army in 2003 and finally made an app out of it in 2015. The game is simple; trying to say the same word at the same time with some one else. Which is surprisingly hard and a great way to get to know someone. This app let's you play the game over the internet with no time limit. I love a good quiz and was surprised to see that there are no good quiz-apps out there! So I made one. 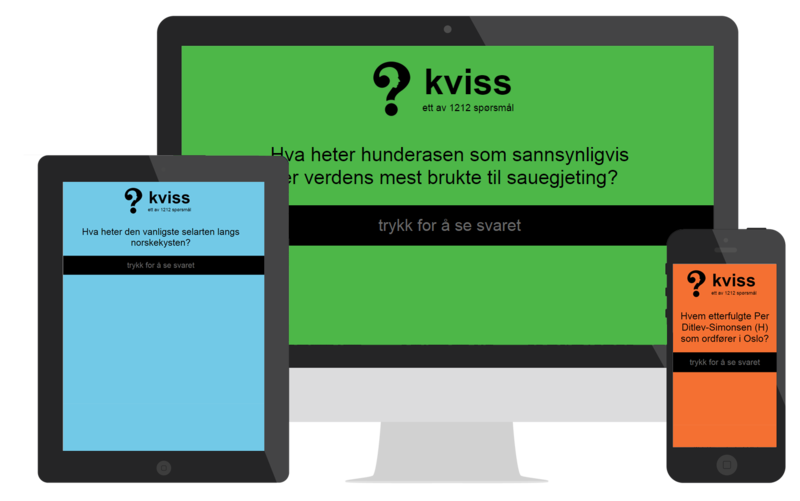 It's super simple and does exactly what a good quiz app should do: It gives you questions and answers. It has become a tradition to play a few rounds on our road trips and cabin trips. Great fun! 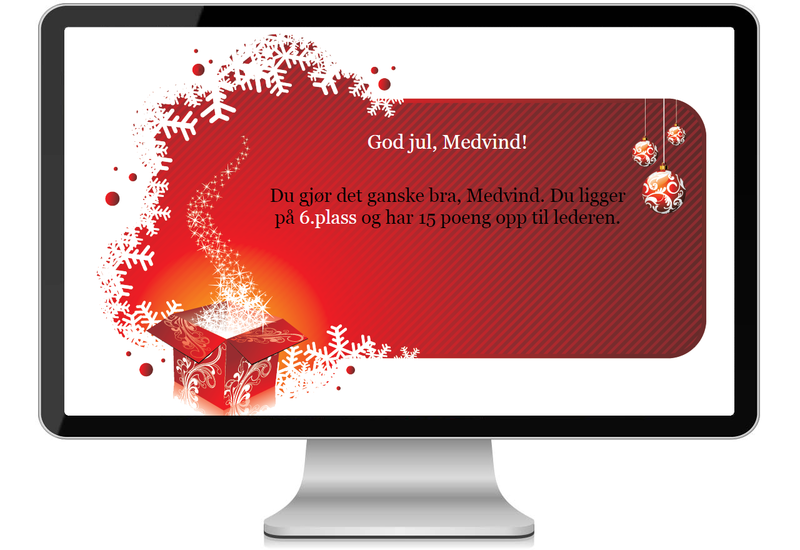 An event calendar for the city of Kristiansand, run by me and two friends. The content was also available on print, freely distributed around town. It was the first service in the city to offer a web app version of the website for the (then newly released) iPhone. I've worked for the Swedish indie band Bob Hund since 2008, creating and maintaining their official website and webshop. I'm also their social media advisor. 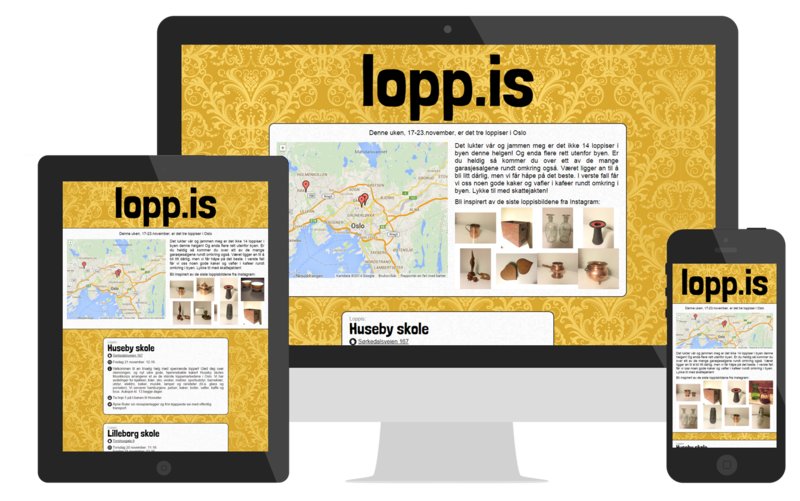 A popular website with the full overview of all flea markets and other fairs in Oslo, Norway. The content is now created by volunteers and Instagram-hashtags. A personal blog with all kinds of oddities from the web. I've run it for a very loyal following since 2005 and will soon pass 30 000 posts. This is basically a long read article spread out over several pages. It's the history of a house in downtown Stavanger that I own and my family, going back five generations on my fathers side. The house is one of the oldest and most well kept house in the city. It is packed with history and when I inherited it in 2014, I decided I should do it justice and write down the stories that have been in the family for generations before they get lost forever. 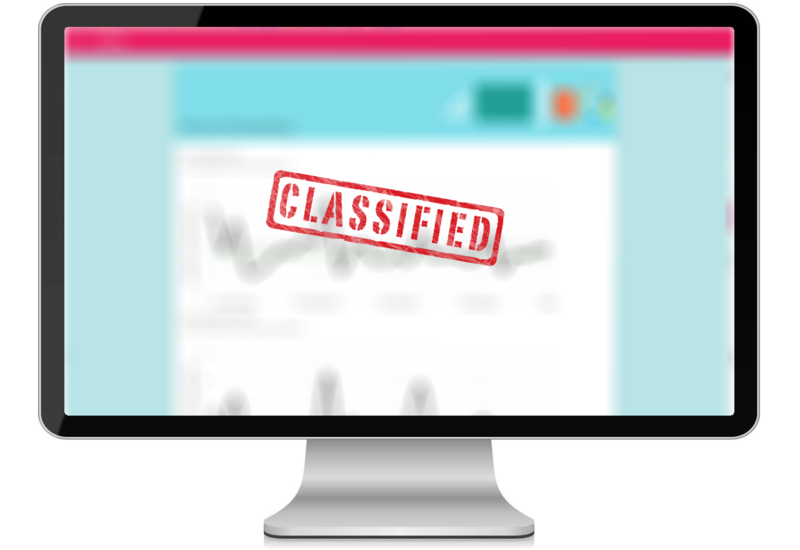 I did some massive research and ended up with a ton of info, displayed on this site. 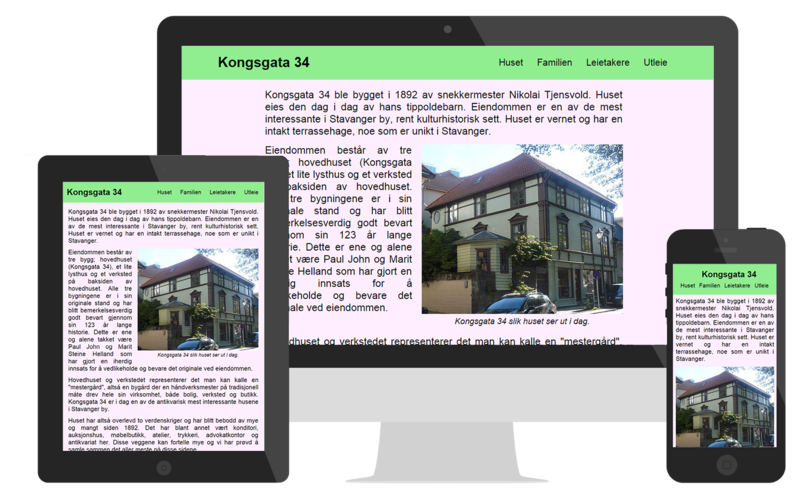 The site became very, very popular with the local population and historians have called it "a very important contribution to the history of Stavanger". Halvtime means 'half an hour' in Norwegian and this is a podcast I did with a good friend of mine. The series was abruptly put on hold when my friend moved out of town and we didn't want to continue over the phone. 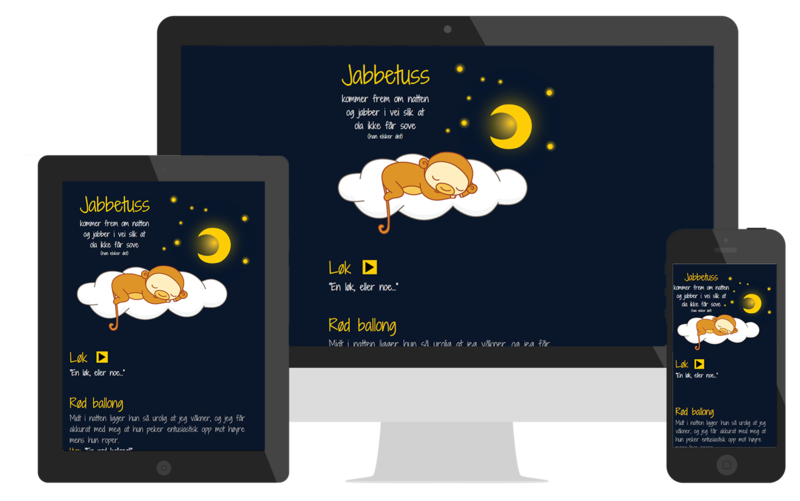 Rundgang is a super simple website with animated gifs. It is made for entertainment purposes for the moments when you feel you have won the internet and there is nothing left for you to do there. Perfect for bathroom breaks and a few minutes of mindless surfing before you go to bed or waiting for the bus. It's a designless site, only focusing on content. A travel blog from 2014 when I went from farm to farm in Asia trying to learn about organic farming together with my fiance. 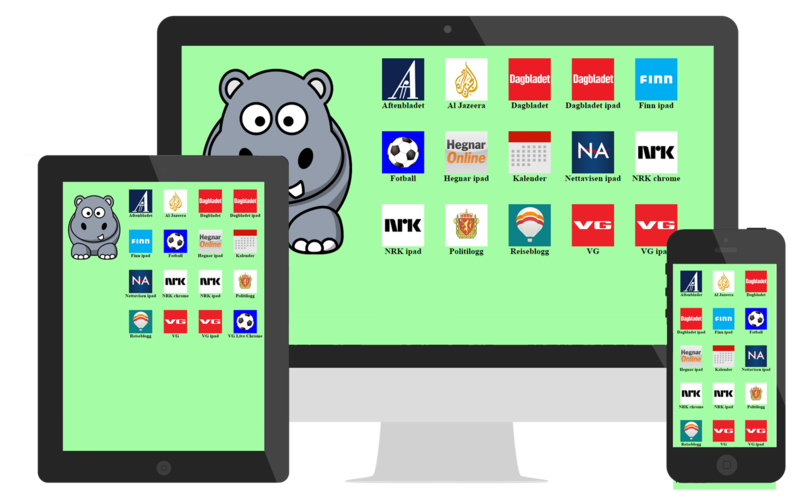 This is an online accounting software that I made after I started renting out my apartment in Oslo. It provides a full overview over expenses and income in a simple and clean manner. 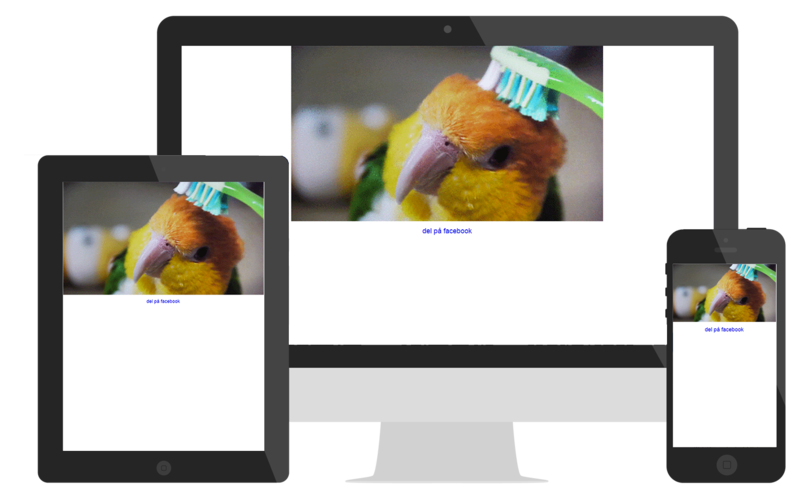 Adding new posts is simple and highly customized for mobile, since they are usually added on-the-go. This is a brand new mobile reading experience for a news site. It's currently an invite-only service and the users love it! 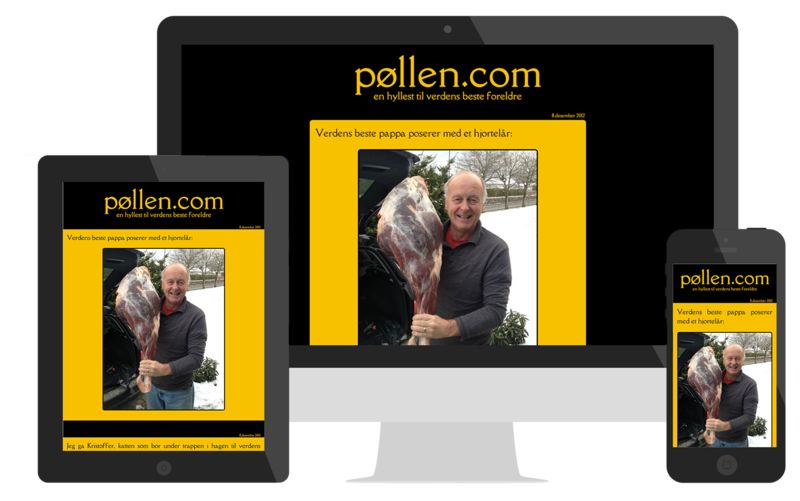 The site is my own invention and it's a cross over between a regular news site and a webshop. You basically create an on-the-fly "playlist" with articles, instead of going back and forth between a frontpage and lots of articles. A concert series run by me and some friends of mine. The site promoted our program, which was about two shows a month. Always good. Always five punds. Always sold out. My fiance talks in her sleep, but refused to admit it. So I downloaded the Sleep Talker app and recorded her. It turned out to be very funny and I made this blog with audio clips and quotes from the random things she says while sleeping. A new take on the old fashioned mixtape. 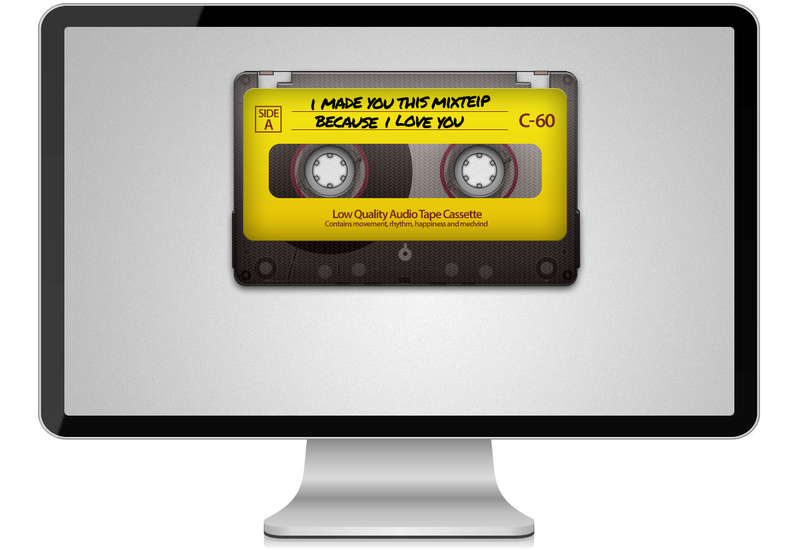 It's an HTML5 audio player masked as a cassette and updated with a new mixtape every month. No tracklist. Just good music. A blog and travel route from Cuba, where I rode a bike across the island together with a friend. It was made for close friends so they could follow our progress and see some photos every now and again. 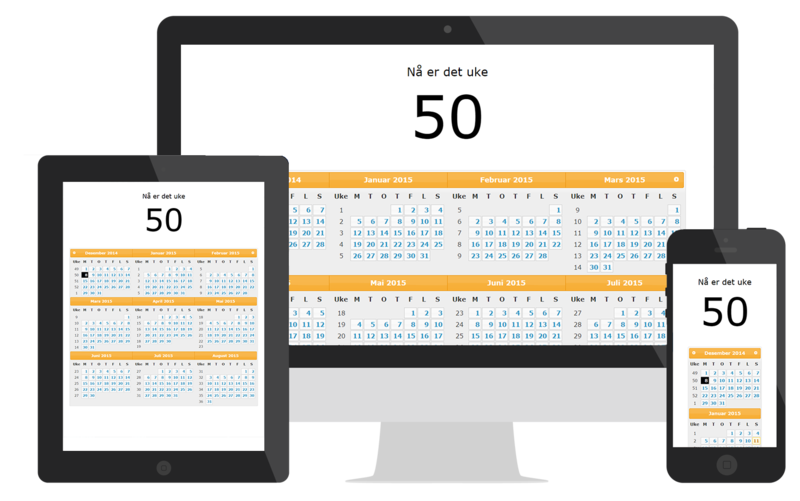 Working for Statoil I was constantly asked about week numbers, a concept I do not adhere to. But there was no way around it at this company, so I created this simple calender to tell me which week this is. 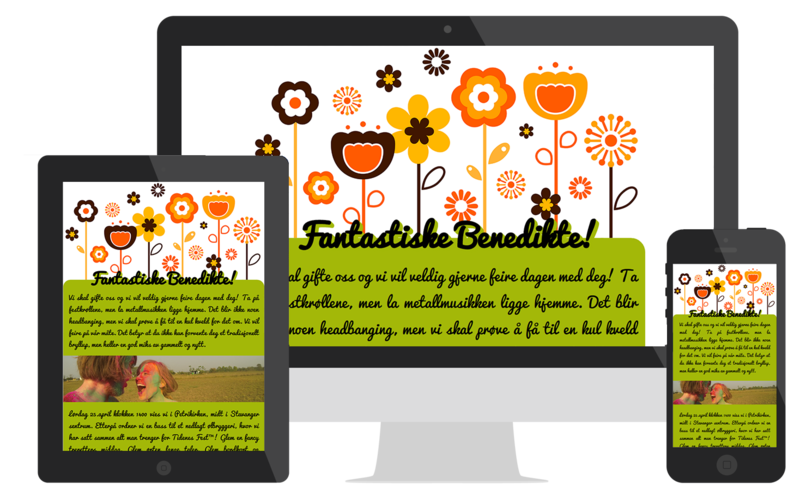 The site spread amongst the employees at Statoil and was widely appreciated. Uketall means week number in Norwegian. A before-its-time url shortener made to order for the Swedish indie band Bob Hund, who are notorious for their idiocy. The product remains on an invite only basis. Back in 2011 I played a lot of table tennis with a good friend. We created a "league" of our own and I made this app to keep track of it. It was a highly customized and personal app that did just what we needed. I got to work on my sql-skills and extract interesting facts out of the data from our games. The app worked as a live scoreboard as we played, as well a highly advanced statistics engine for bragging afterwards. A simple site that collects good recipes that are worth keeping. Having recipes spread out over two families made us want this blog to always have access to the good stuff. My dad is the funniest man alive, so I decided to document the things he says in this blog of quotes. It's a tribute to the greatest parents on Earth and has gotten quite the following in Norway. As a true testament to my need for organising, I've created this website to keep track of the tv shows I follow and which episodes I have missed. An invite only service to create iPhone web apps for sites that do not have an icon, and for opening web apps in Chrome, not Safari. 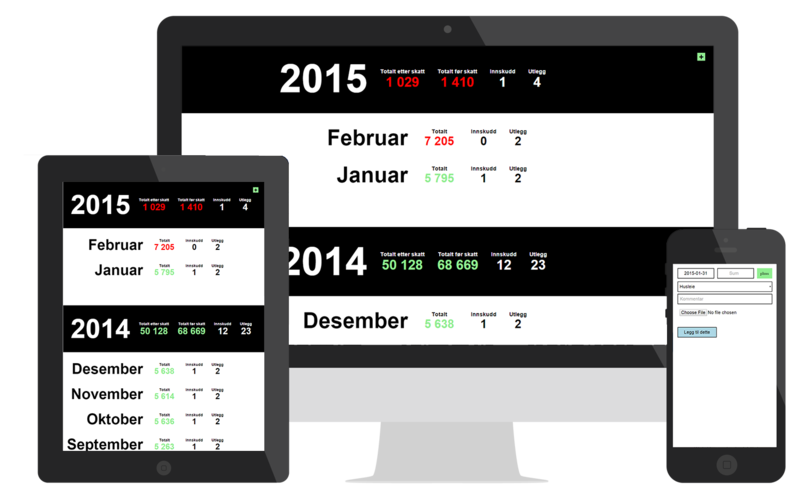 I created this chronostratigraphy tool for Noreco, an oil company based in Stavanger. 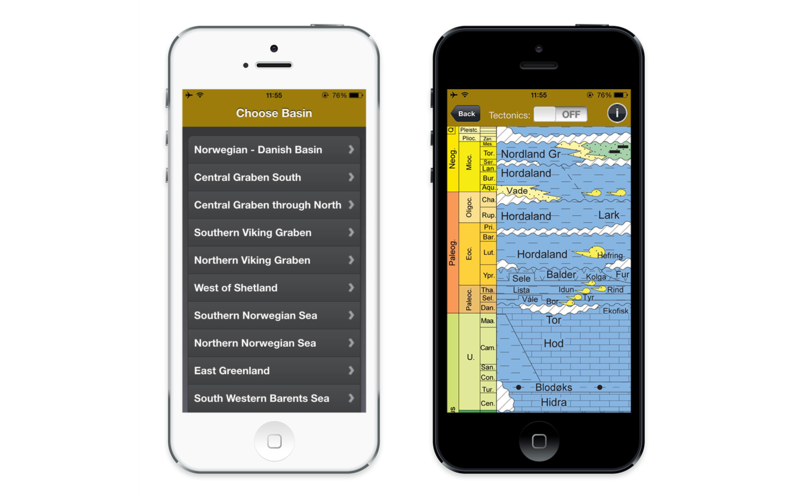 It's an extremely simple, and as it turns out very useful, app for navigation through the different stratigraphic units, depositional environments and tectonic events in most of the Norwegian basins. 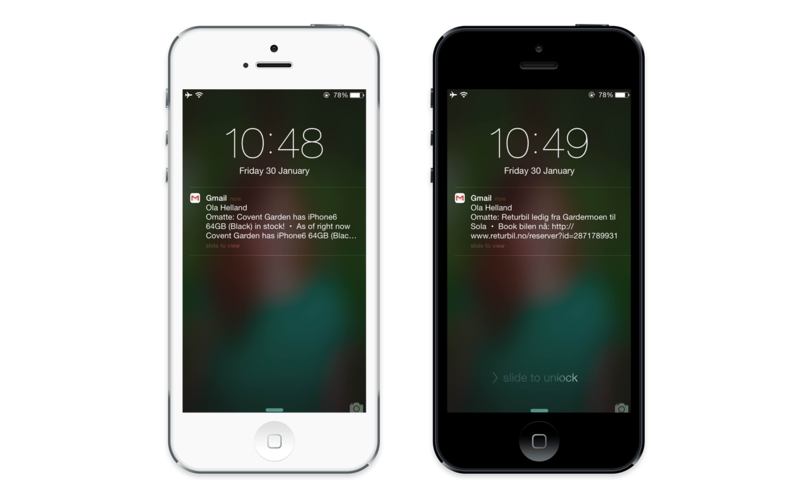 The content of the app is highly specialised and usage showed it was a great success within it's field. Which led to Noreco wanting more apps. 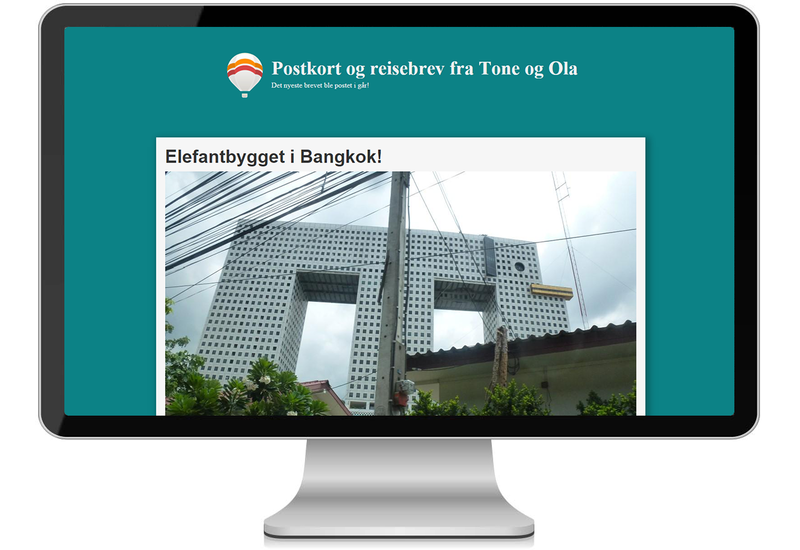 I also created an internal app for them, with a simple goal; find a name for their new intranet. 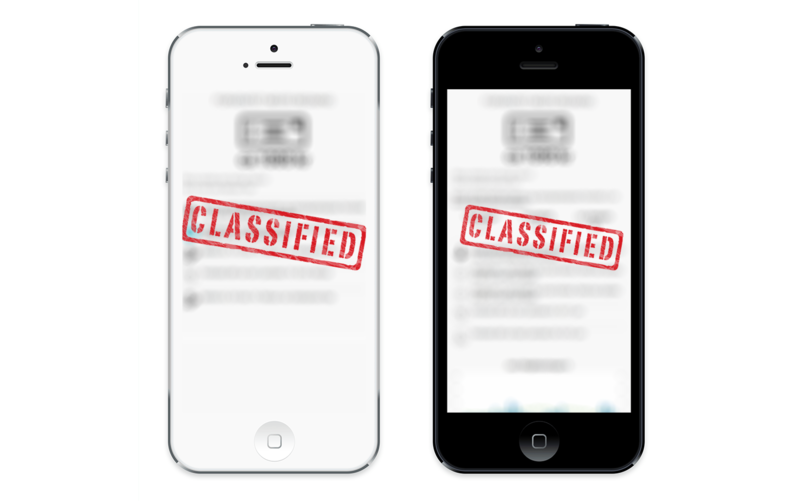 That app got even more popular, but it is classified since it was just for internal use. So I can't display it. This was a gift to one of my best friends for his 30th birthday. 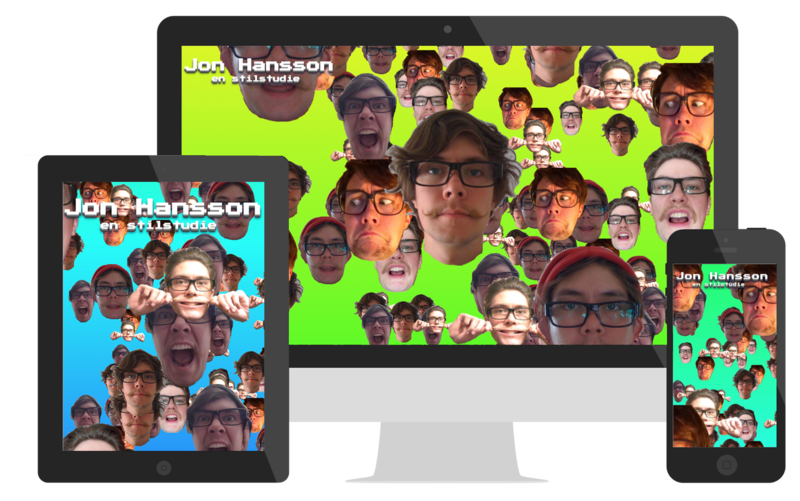 The website contains slightly odd photos of him and they move around as you move your cursor/phone while the background is changing color. The perfect web app for the whole family! Omatte, Norwegian slang for "can you", is a simple crawler that checks certain websites for changes. It's the perfect solution for sites who do not offer notifications. Omatte will for instance check the availability of the new iPhone6 at your local store and send you an email when they have it back in stock, so you can reserve one. 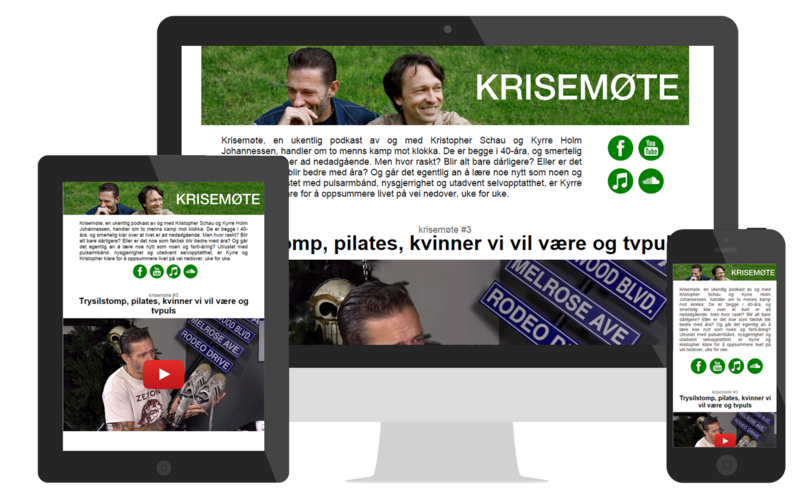 I developed this service when I was moving from Oslo to Stavanger and found a website offering free rental cars (! ), but they had no notification system and of course the cars are insanely popular. Omatte found cars perfect for my needs and sent me an email immediately, giving me three perfect rental cars in no time. 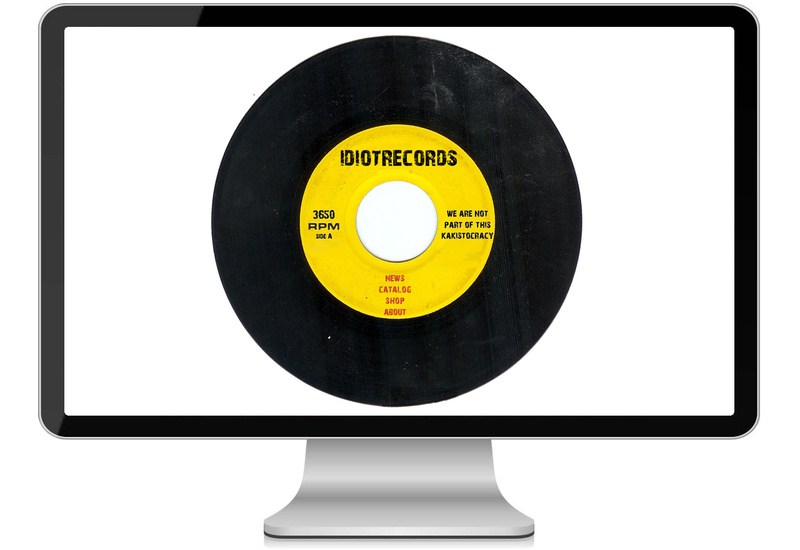 The website and webshop of my own record label. Released a vinyl single in 2009 that sold out in a few hours. The engine behind all my sites, big and small. 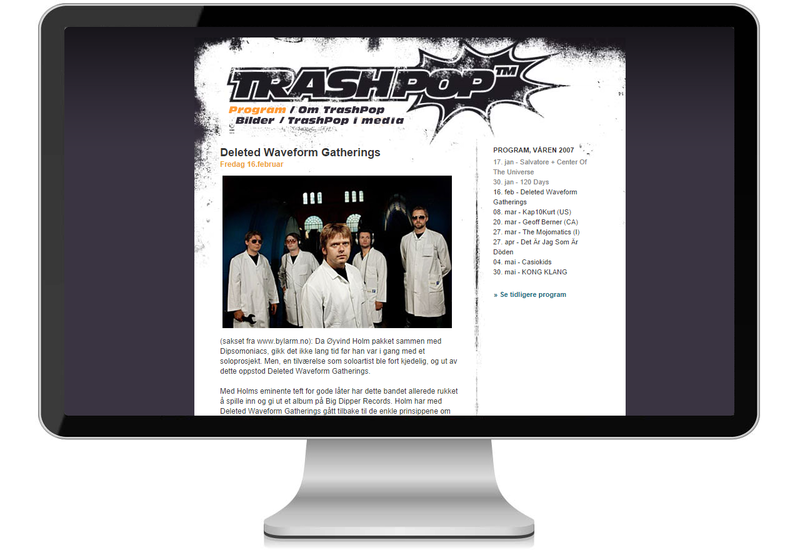 As I've created far too many sites over the years, I have streamlined the process with this website. All I have to do is type in three variables and click a button. The site will set up the DNS routing, a new database with all the tables needed, a HTML template with all the files and structures needed and cron jobs to back it all up on a daily basis. It's the perfect website-on-a-new-domain-creator. Working for this major oil company I got the chance to grow into an important role of this project, dubbed "revolutionary" by it's CEO. I started out as a developer and ended up with concept and process management, design, writing user stories and being a scrum master. My Christmas card to my friends every year is this advent calendar. It's become quite popular, with 40 contestants coming back every year for the past 8 years now. It's an interactive quiz/game show where you have to solve puzzles, answers dumb questions, draw drawings and take photos. It's very fun and whoever get's the most points by Christmas Eve wins the honourable title "Santa Of The Year". And everyone gets a personal Christmas video at the end. A super simple website where I keep track of my work. It's far too much, and it's not even everything!